The starting point in building a successful career in GIS is a solid education. This involves taking classes in cartography, GIS, spatial analysis, database management, web technologies, and programming. There are a lot of GIS certificate courses emerging that help solve the confusion as to which classes to take, but any department offering GIS coursework is a great starting point. Start by taking a general “what is GIS” themed course. This is important because it is important to understand the general concepts in GIS before actually attempting some of the functionality. Taking a good cartography course is critical as well. 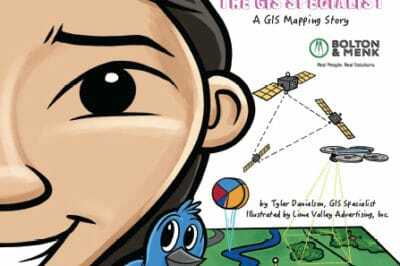 Often overlooked by many seeking GIS knowledge, a comprehension of cartographic techniques is especially important for understanding mapmaking and for learning how to create maps that are effective in communicating geographic data. The end process of visualizing spatial analysis can be tricky. Understand the methods by which one can display data is essential to effectively communicating with maps. Most employers strongly prefer at least a bachelor’s degree. Depending on the industry of the job listing, that degree would preferably be in Geography, Computer Science, Engineering, or Urban Planning. Job seekers that have a bachelor’s degree in another major should supplement their college education with a certificate program. Those striving for managerial positions in GIS will be more successful if they also have a master’s degree. The next step is to take coursework that applies the concepts of GIS and cartography. These courses are always software specific so it’s important to choose a class that teaches the software you will be using once employed. 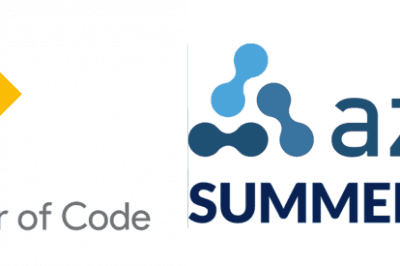 Currently, Esri products dominate the commericial GIS software market while open source QGIS has made enormous strides in its adoption. If you are unsure which software to learn, I suggest learning about ESRI’s ArcGIS suite of software, as these are the software applications most often required by employers. You can also do a job search of companies and agencies in the area you want to work in to see what GIS software they are requiring for employment. Classes specific to a GIS software package can be taken at many universities and colleges, through satellite courses from the software companies themselves, or through online or distance learning. A growing option is the offering of GIS MOOCs (massive open online course), some of which are offered for free. As with all fields, nothing beats real-world experience. Internships are extremely popular in GIS as they allow the employer a cheap source of labor for lower level GIS tasks and, in turn, provide a valuable training experience for the intern. The only way to truly become proficient in GIS is to simply use it. The coursework will only serve to provide a base knowledge of the field and without some form of practical experience, most companies will not be interested in hiring. To find internships check with your school’s geography or urban planning department. Oftentimes companies and agencies looking for student help will advertise there. You can also directly inquire with places that you are interested in working for. Internships can lead to full-time positions. Almost every higher level (Technician, Analyst, etc.) position will require some hand-on job training. The best way to achieve this is through an internship. Internships are mostly low-paying, part-time jobs but they are the best way to get further GIS training and to develop your GIS skills in a real world setting. Learning GIS out of a textbook is a great way to get started, but in reality, few GIS tasks are solved as neatly as the “follow steps 1-10” of your workbook. Getting an internship has become more competitive in recent years. To be a competitive candidate for an internship, only apply once you’ve taken a solid groundwork of GIS courses especially an “Introduction to GIS” class, a second advance GIS class, a separate cartography class (if available), and a class covering databases. While an internship provides on-the-job training, you will mostly be expected to learn on your own so it’s important to already have a good baseline to start from. 1-2 years hands on experience with GIS based software. If you first took an internship you should be able to aim for these types of jobs. The job titles Technician and Specialist tend to be used interchangeably. They are both journey level positions. GIS Technicians should have a solid grasp on the most common GIS tasks. Examples of those are: the ability to edit vector data, create data in a GIS software application from a multitude of sources (paper documents, spreadsheets, hand written maps, GPS data, drone collected data, satellite and aerial imagery, etc. ), be able to work with external databases including understanding structured query language (SQL), understand projections and coordinate systems, work with GPS receivers to collect data, and strong cartographic design skills. 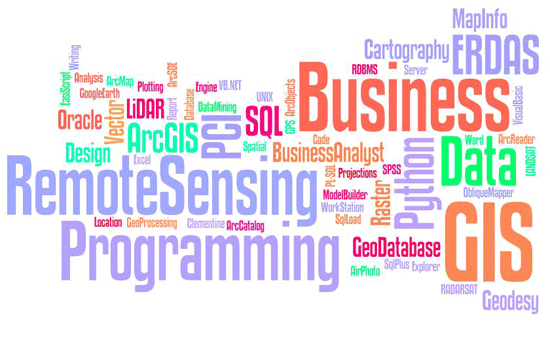 While they are not the only software packages out there, a good majority of GIS positions are looking for proficiency in ArcGIS and/or QGIS. Common tasks involve cartographic output (mapmaking) and data manipulation. A lot of positions are also starting to look for some basic programming experience. At least 2-3 years experience with GIS based software. At this level you should be performing more complex analyses and RDBMS. In addition, an analysts should also be primarily concerned with application development and should have a fair amount of programming experience (see Learning Programming for GIS). For example, if you work with Esri’s ArcGIS software or QGIS, Python will be needed. Analysts, having built on their skills developed as a GIS Technician, should have strong skills in cartographic design, analytical geography, database design and management, programming, project management, and communication (including strong writing skills). Supervisory responsibilities and project management are also common responsibilities with the Analyst supervising technicians and interns. Depending on the company or agency, usually the manager has at least 5-6 years of experience in the field. The manager would also be required to have budgetary and project management experience. Depending on the size of the staff, this position may or may not also involved technical responsibilities. At the executive level, having a GIO, a Geographic Information Officer is an executive level position in the GIS field. A GIO is a counterpart to the traditional CIO, Computer Information Officer. As with all technical fields, GIS is a rapidly developing field. Keep yourself up-to-date by attending conferences and reading GIS based publications. Ongoing GIS training is also important to keep up with advances in in this rapidly developing technical field.